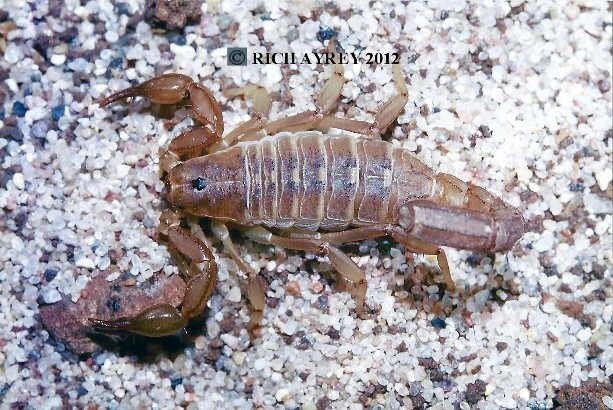 The photo of this 1 1/4 inch scorpion was taken in South East Arizona. It was walking about at 10 PM in an area of sparse bushes and sandy soil. This site copyright Rich Ayrey 2008 - 2017.